Ok, Stop. What is Copywriting? Copywriting is a specific marketing activity found across the different advertising channels. Copywriting is the main component of just about every advertising message, really, headlining the print pieces you flip through, the tri-fold brochures you throw away, the billboards you zoom by, and the emails you quickly mark as spam. In all seriousness, though, there are some ads you pay attention too, though, surely. There must be. If not, than why are North American companies on track to spend over $200 billion in advertising in 2017? Somewhere out there, copywriters are succeeding. They are in fact catching your eye as you flip through the stories of that print magazine; they are getting you to consume at least a couple of panels of that brochure before you discard or add it to your junk pile; they are quickly branding that blur of a billboard in your brain as you drive past on the highway; they are succeeding in gyou convincing you to click that CTA in the latest newsletter to hit your inbox. Your writing should differ by type or channel, or if it doesn’t, it should. I mean, there are a number of factors that influence how you go about crafting copy. What are you writing about? A product or service? What benefits do you need to convey? Where will the writing be placed? In a magazine? Email? Social media post? Who is your audience? Is this B2B writing? B2c? What is the demographic composition? How knowledgable is your audience? Are they knew to the brand? Do they know about this type of product? What action do you want the reader to take? After they read, should they call? Visit a site? 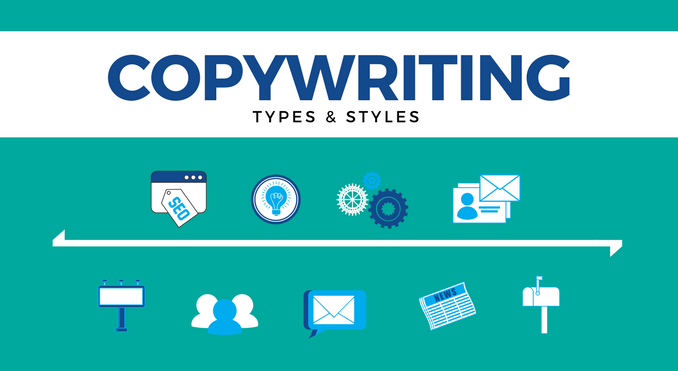 Those are just a few of many things to be thinking about when going about the different types and styles of copywriting. To ensure you get off on the right foot on any project, always, always put yourself in the reader’s shoes. Visualize how they’ll be receiving your copy…where will they be, what time of the day? What distractions will be present? What other hurdles might you need to clear? 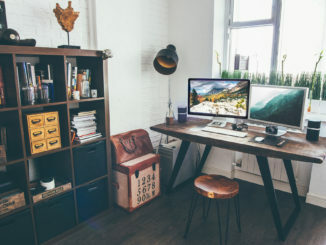 If there is anything that will help you land a freelance job online even without the experience, it’s seeing your writing from not only the eyes of the reader, but from the overall context of their situation. That, and making sure you’re aware of common AP style mistakes. Here are a few different types of copywriting to consider. Direct mail involves anything (letters, postcards, brochures, etc.) sent via mail to target clients or prospects. Such advertising is typically targeted by income, location, profession, and/or other identifiable pieces of information as to where the person or company doing the mailing can tailor the messaging based on one or a combination of those factors. Do you read your mail? What pieces of mail will you open out of curiosity, and which will you immediately shred? When you actually open a piece of mail, are you moved to take action? What kind of mail holds your interest? What is it about the “spam” mail that makes you want to immediately throw it away? how easy is it to take action if you actually want to? Here are some direct mail copywriting tips from Target Marketing Mag; here is an “Ultimate Guide” from Ballantine. Email messaging has to do with content transmitted to your email inbox. For you to receive such messages, you probably had to opt-in to the company’s mailing list, or perhaps you bought something and also provided your email list. The underlying principles and approach don’t differ much from direct mail, in that your first hurdle to clear is to get your prospective buyer to actually open the message (so, the subject line). The second hurdle is that once a person opens your email, they read and consume it; not simply scanning, but taking the message to heart and then taking action. Which emails do you open? What makes you open an email vs. delete without looking? Which emails do you actually read? Which emails do you forward to friends? When do you actually take action on the email? How do you guard against your email being marked as “promotional”? For more, here are 37 email writing tops from Copyblogger. And, here are others from Bourn Creative. As print media fades and reappears, did billboards really go anywhere? Not really, right? Why is that? Maybe because posts are already in the ground, and you’re not required to construct a new setup whenever you want to advertise on a billboard? Or, maybe it’s because while online media has taken a lot of eyes off print, when you’re in the car, you don’t have choice to either read a billboard or look at your phone in the same way you have the choice to read a magazine or read the same article online. Or do I? Those points actually have a lot to do with how you should go about copywriting for use on billboards. You have a captive audience, but you still only have a couple of seconds to make your mark. While that might call for more imagery than words, the most creative and eye-catching boards still have a written component. What kind of billboards do you notice? Which billboards do you remember? Which billboards have you acted on? Which billboards make you wish you weren’t driving? Billboard tips from Writer Underground can be found here. Press releases are written by a company (by in-house writers or PR agency) to announce what they feel is a newsworthy event. Perhaps it’s a new product release or partnership, or maybe it’s an award won or charitable act. Either way, press release copywriting is much more of an advertisement than other forms. And, there is a lot less creativity involved, as a release might only be 3-4 paragraphs (an intro/announcement, a quote, supporting paragraph, and a conclusion). One distinction here…where I mentioned before that you need to always put yourself in the audience’s shoes when writing, your audience here might be media outlets vs. prospective customers. What would make you want to write a story based on a press release you’ve read? What is really newsworthy vs. something your company, and your company only thinks is great? A couple of resources include this list of tips from Cision, and 16 others from AdWeek. Go back to the billboard example quickly, if you don’t mind. People and more people driving 65 MPH down the highway, zooming past billboards left and right, glancing up every now and then, but focused on the road (hopefully) and reaching their destinations. Looking at that example, isn’t it similar to the social media experience? Tons of people flicking and swiping down their feeds at what seems like 100MPH, zooming past posts, looking here and there, and really only stopping when something really grabs their interest. Which social media posts catch your attention? Why do you go on social media in the first place? How does that reason dictate the posts you click on? 10 tips that drive engagement from Social Media Today and a few more from Make Social Media Sell to help you. 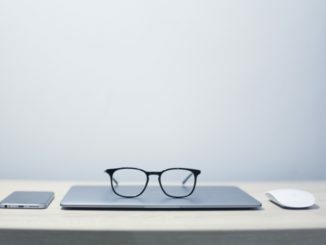 Many companies don’t realize the power of their blog, and thus, don’t invest quality resources into the content posted there, both in terms of time, subject matter, and the content itself. I often find people interchangeably using “types” and “styles” when explaining copywriting. I like to think of the above as “types” (obviously, I’ve explained that), as in the different types or forms copywriting can take. The below, then, can be more considered styles, or the manner in which you construct the copy. SEO stands for search engine optimization, which sounds a lot fancier than it really is. That said, think of it like doing what you can so Google “likes” your content and ranks it higher up in search results when someone is searching something of relevance. Explaining the ins and outs of SEO can easily dominate an entire blog post, not to mention an entire website, so I’m not going to dive into it. Just know, with the types of copywriting above, SEO very easily directly influences the following anything posted online, and indirectly influences print content. Meaning, directly, if you’re putting together a blog post, your very first thoughts should be around keywords and how you’re going to optimize the post so, again, Google likes it. Why does this matter? Because typically, nobody is going to ready your blog without reason. It’s the sad truth. Most blogs get posted, and might receive a bit of traffic that same day because it was advertised on social media, but soon after traffic all but dies off. That is unless there is “reason”, which in this sense means your content is so incredibly good and valuable, that you have droves of customers and prospective customers returning to your blog everyday to check for new content, or, will sign up for your newsletter and actually click through to read a new post once pushed through. But, very few brands are at this level. An alternative meaning of “reason” is when people are looking for information. So, their reason for reading your post is that they have a need, so they perform a Google search to solve that need, and hopefully find your content. That is, if it is optimized, which is where SEO comes in. Long story short, a post that performs well with the search engines will have a much, much longer shelf life, perhaps years and years of steady traffic versus the up and down blip because a few of your Facebook followers read it. Looking at creative copywriting, think headlines, mottos, scripts, slogans, and jingles..and really, on a scale from fun to boring, your creative content will be far left, while some of these other styles be more neutral or far right. Good, creative copywriting requires humor and intelligence; the writer needs to be “in the know” and up on the latest in pop culture. They should also not be afraid to take risks and be different. The name of their game is to be remembered, so it’s going to take something off the wall sometimes. Likewise, though, they should also have thick skin, like a designer, and be prepared to take the good with the bad. As we creep towards the middle of that fun spectrum, sales copywriting starts to appear. You can think of sales copy as the more “serious” person found in every group of friends. Sure, he or she will go out with the crowd, hanging out in advertisements, on the website, etc. They might even crack a smile here or there, tell a joke, but when it’s time to go home or sober up, they’re all business, and act as the persuasive voice to get everyone to take action. So, technical copywriting. It’s not that you’re boring; really it’s not. You’re just less fun than creative and sales copywriting. But, you’re so, so necessary in certain situations. And, I guess what is key is that you don’t have to be straight to the point and “boring” for lack of a better term. There are plenty of companies, who, through more technical pieces like white papers or help forums, etc. still have some fun. As a writer, though, you need to know the product a lot better than your general marketer, and will find more opportunity in B2B writing. 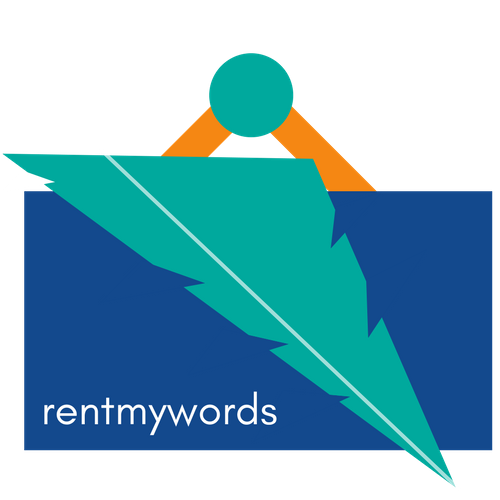 Ryan started Rent My Words to help everyday people, (beginners without any experience, basically) find success with freelance writing on platforms like Upwork and others. ABOUT RENT MY WORDSAs a "non-writer," I found success early and often on sites like Upwork.com. I want to help others succeed in their freelance frenzy. I can also help with your content and SEO. 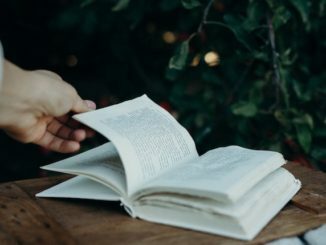 As a “non-writer,” I found success early and often on sites like Upwork.com. I want to help others succeed in their freelance frenzy. I can also help with your content and SEO. When can I email you in the future? *We will use the information you provide on this form to be in touch with you with updates and marketing. As such, the info will be transmitted to our email service provider, Mailchimp. Using the checkboxes, please let us know the ways you'd like to hear from us. By selecting "agree" above and clicking the button, you agree we may process your information in accordance with these terms. You can change your mind any time by clicking the unsubscribe link in the footer of any email you receive from us, or by contacting us at hello@rentmywords.com.